Living... on the south side of Chicago, with his pregnant wife. Struggling through mounting debt, Calvin dreams of becoming wealthy and buying a house the size of Oprah’s guesthouse for his growing family. However, he finds that his barbershop is increasingly becoming more of a hindrance than an asset in achieving this goal. Profession... owner of a barbershop that has been in his family for three generations. 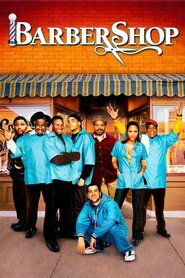 Despite the longevity of the barbershop, the business faces foreclosure due to questionable management (i.e. giving out free haircuts) by both Calvin and his father. Unable to secure a loan, Calvin finds himself relying on get-rich-quick schemes – or “ventures” as he prefers to call them ­– in order to keep the store and his family afloat. And when Lester Wallace, the resident loan shark, makes him an offer he can’t refuse, Calvin is tempted to give up his father’s barbershop and legacy. Interests... bettering himself through entrepreneurism and community engagement. 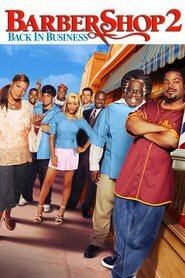 Although he recognizes his father’s barbershop as a community space where people gather to share their time (and gossip), Calvin’s financial woes cause him to resent the barbershop for what it’s costing him and seek other money-making opportunities. However, as Calvin discovers when given the choice to sell the barbershop, the price of ridding himself of his financial burden may come at too high a personal cost. Relationship Status... married. Calvin’s wife, Jennifer, offers him unconditional support along with sage advice as he juggles the pressure of financial strain and impending fatherhood. Calvin Palmer's popularity ranking on CharacTour is #607 out of 5,000+ characters. See our top-ranked characters and read their profiles.